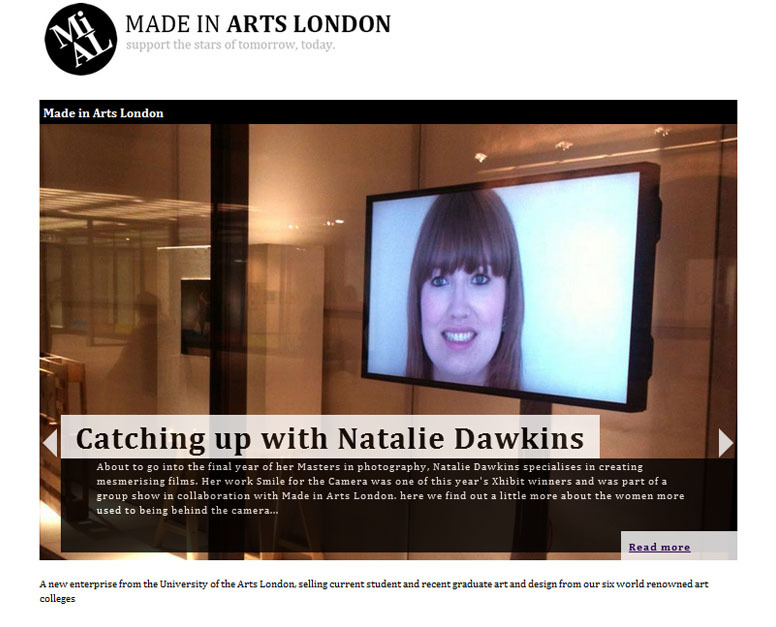 What brought you to UAL? I had quite a bit of time between my BA and starting my MA. I had heard good things about the MA courses at LCC and the Royal College of Art, but having been to the open day I had my heart set on LCC . Their outlook sounded like a good fit for my practice, and I could imagine myself being at home there. How are you finding it? I was really nervous when I first started I felt quite shy and intimidated but now I’ve settled in and it’s lovely. I look back at the process and feel that I’ve been encouraged in my path and to develop further through evaluation from my group and my tutors. Where do you look for inspiration? Basically before my MA it would have been mainly listening to other artists talk about their practice. Since starting my MA, reading essays on the theory of photography and being more disciplined in my reading generally has really helped. I also found developing inspiration with peers has really helped to get ideas going. What’s the inspiration for ‘Smile for the Camera’? Quite often people are asked to smile for a photograph in casual situations. It can often be quite a forced process. I was interested in taking this process and extending it, asking the model to smile for 30 minutes, and seeing the process under strain and unravelling. How has Xhibit helped you? Xhibit was really good, it was a whirlwind, I entered it on a whim and I was really shocked and honoured to be selected as a part of it. 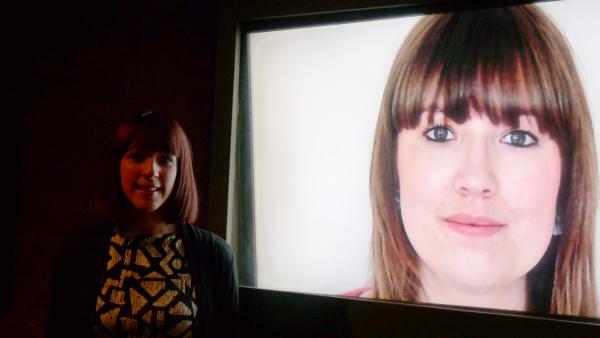 It was a brilliant show, and fantastic to have had the work shown differently over the three venues. What made you interested in video arts? When I was doing my BA I was more focused in photography, but when I did my final project ‘Silent Treatment’ I felt that piece had to be in video to work. I still love photography, but as a medium I’ve fallen for video a bit. Where do you see the future of video art going? It’ll be really interesting to see where the video art goes as at the moment it’s considered quite hard to sell. But with all the new technology coming out every year, it’ll be interesting to see if video art has more opportunity to get out there. I think as a whole everything is becoming more futuristic and less static, especially in advertising for example. What are your plans after graduating? I’m still finishing my MA at the moment which is taking up all of my time right now. But after graduating I’d like a concept-based creative job such as an Art Director. Freelancing has taught me that I want to be the one directing the creative concept.